The Hans Hartwig Ruthenberg Graduate Award is usually given to promising young scientists working towards improving farming systems and alleviating hunger. This year Ulrike and Sarah were honored. How will we meet the rising demand of rice in future owing to the growing population? For a long time, plant breeding has been the popular answer to this question. However in most cases, the yield remains stagnant. The high expense incurred by the current current approach is a huge challenge. Ulrike Beukert, Plant Breeding student from Martin-Luther-University of Halle-Wittenberg has a new approach on rice breeding. Her reserach on “Genome-based identification of heterotic patterns in rice,” used only a small selection of hybrid to predict the entire parent-line. Biostatistic analysis of yield and gene marker data helped her increase the prediction acurracy and improve yield. The Hans Hartwig Ruthenberg Graduate Award is given to the promising young scientist who work for improving the farming system and constantly fight for hunger. This year Ulrike and Sarah were honored. How will we feed the growing population and high demand of rice in the future? For a long time, plant breeding has been popular answer to this question. However, flat results and high use of resources is a growing challenge. 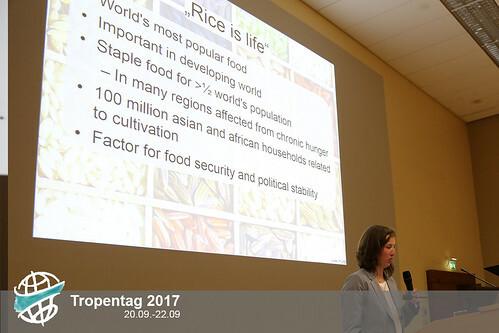 Ulrike Beukert, Plant Breeding student from Martin-Luther-University of Halle-Wittenberg has a new approach to rice breeding. Her research on “Genome-based identification of heterotic patterns in rice,” used only small selection of hybrid to predict the entire parent-line. Applying bio-statistic analysis of yield and gene marker data, she can increase the prediction accuracy and improve yield. With an interesting background as both a plant breeder and politician, minister of Agriculture, Forestry and Food Security of Sierra Leone, Monty Jones talked about challenges in African agriculture but with great belief in the next generation of researchers. He shared with the audience his memory of witnessing riots over rice shortages when he was in secondary school. This experience was what pushed him to become a researcher, and ultimately creator of ‘"the New Rice for Africa (NERICA)’’. It is used all across Africa currently, and Monty Jones won the World Food Price in 2004. He is now a minister of Sierra Leone. Using himself as an example, he encouraged the young researchers in agriculture, "HOPE and DETERMINATION will take you very far’’. In his speech, he gave a brief picture of the existing obstacles that Africa is facing in agriculture, such as underutilization of arable lands, roughly 40% of it is uncultivated, low use of technology, climate change, poor market infrastructure, and the challenges of urbanization. However, with an optimistic perspective on African agriculture, he mentioned many ways to overcome these challenges. Following a series of male speakers, leading expert Professor Agarwal guided her audience in considering alternative pathways forward in the future of agriculture. 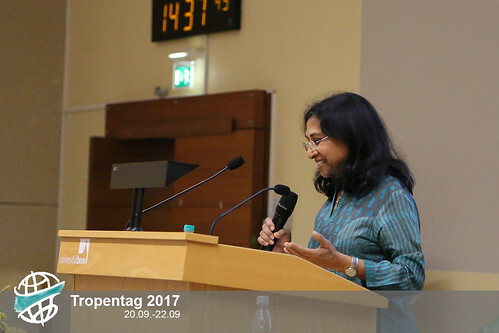 "We cannot wait for technological fixes… we need institutions based and built upon farmer cooperation," emphasized Professor Agarwal in her keynote address. Referring to group farming cooperatives and joint liability groups as solutions, this poet and policy advocate highlighted some of the widely-discussed topics within the field of agroecology: the feminization of agriculture as a global phenomenon, the changes it will bring, and ways to increase productivity without sacrificing social inclusion. I had a personal desire for Professor Agarwal to have gone one step further in her talk. Integrating group farming cooperatives drastically enhance productivity along with equity in smallholder agroecosystems in the Global South. However, what we need now are clear and developed movement towards implementation. She played it safe, when her speech could have been a fire starter, to spark discussion. It’s the 19th international conference since 1999, and over 1,000 registered participants from over 68 countries assembled to discuss our vision of a new path for agriculture, while still providing for the growing world population. 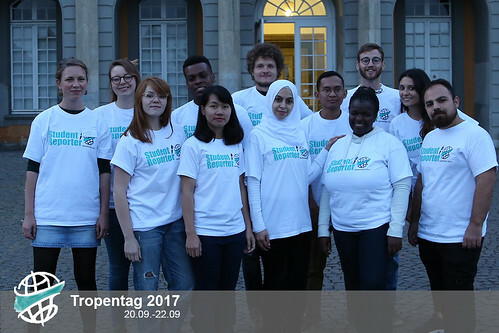 The inaugural speaker, Professor Mathias Becker from University of Bonn, emphasized the crucial role of young scientists and journalists, giving special thanks to us student reporters, who” link the world outside with the Tropentag conference”. In accordance with the representative of the German Minister of Economic cooperation and Development, both acknowledged the massive deprivation of natural resources from intensive agriculture, e. g. deforestation, big monocultures and pesticide use. They also both mentioned that feeding the soaring demand for food, even while arable land was limited, would require intensification. Can intensification be the only answer and solution? No, nor can CRISPR/Cas9 be, said Michael Hoch, Rector of the University of Bonn. He had further questions, what role does modern biotechnology play? How can small-scale farmers in South Asia and Sub-Saharan Africa be considered as a key factor to considerably change agricultural output? In contrast to keynote speaker Monty Jones, the minister of agriculture of Sierra Leone, the welcome speakers were less certain about how to feed the world in the future. 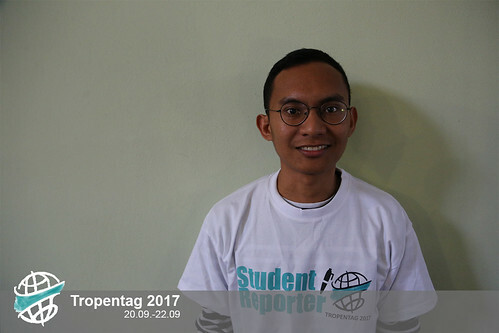 Fadli is studying Agricultural Science and Resources Management in the Tropics and Subtropics at the University of Bonn. Last year he was also a student reporter, and found it fun and wanted to do it again-so he did. 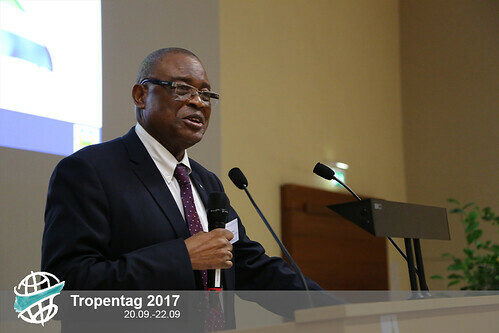 “The Tropentag conference itself is a big conference, and an opportunity to discuss with a variety of people from a range of expertise”, he said. He hopes to earn a deeper understanding of blogging and managing the team, now as chief editor. He hopes to catch some of the presented topics at the Tropentag 2017. This year at the conference, he would like to learn more about organic agriculture. This year's student reporters come from different parts of the world. Twelve students, nine nationalities, same passion. 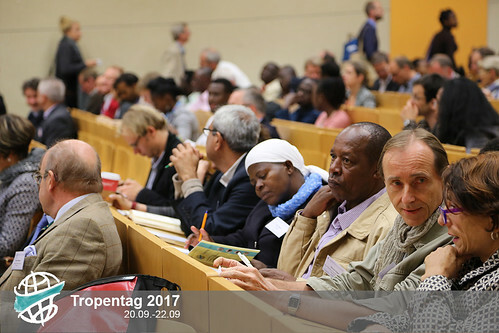 We are here to ensure you get a glimpse of everything ranging from keynote speeches to poster sessions at Tropentag 2017.